This week for our Flesh & Potatoes we continue the holiday horror fun with 2 movies. “Saint” (2010) and “A Cadaver Christmas” (2011). These are comedy horror movies that may or may not tickle your Horror Holiday Funny bone. We break both down, tell trivia about each and then tell you our favorite scenes. Then we match them up against each other to see who wins. Find out who! Have you seen these movies? Feel free to follow along and write us on this episode page or any of our social media. We love hearing your thoughts about what we talk about. 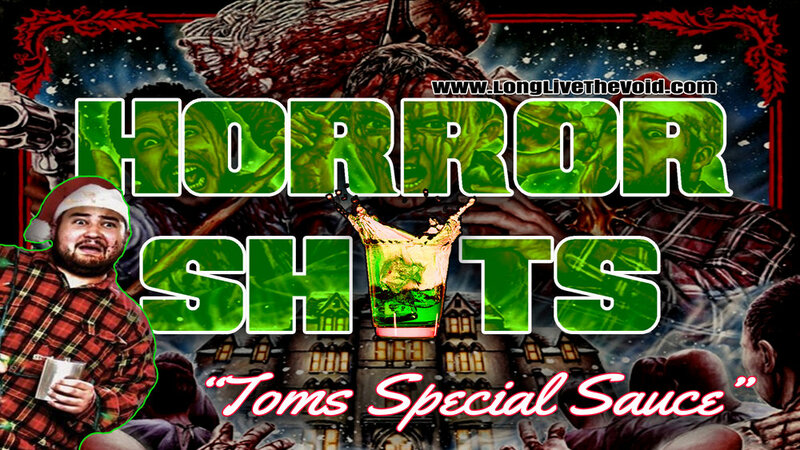 Try our #horrorshot we made dedicated to "A Cadaver Christmas"
Would you like to take our “Toms Special Sauce” #horrorshot from this past Mondays Episode? We honor “A Cadaver Christmas” with it!